Standing in a line snaking through London’s Battersea Park 15 minutes before the Decorative Antiques & Textiles Fair opens, Daphna Peled is as focused as she ever was lobbying before the Senate. 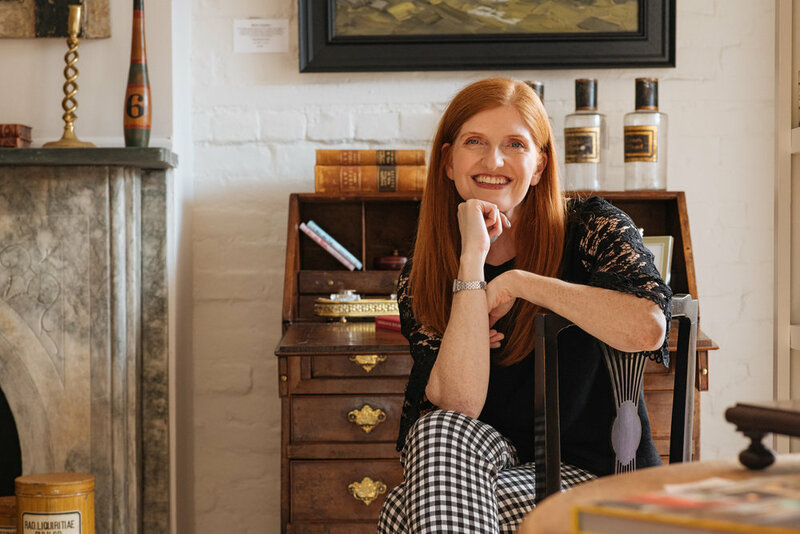 The Georgetown Law School graduate opened British antiques store Pillar & Post over a year ago with her mom—a career 180 spurred by a President who never was. Daphna was an established lobbyist for the cable industry, but as the 2016 election neared, time with her young son appeared to be in jeopardy. Instead, Daphna turned to home décor. She took a few design classes and decided it wasn’t for her, but felt inspired by the British style she’d come to admire during the 15 years her parents lived in London. The idea felt like a great one, but Daphna knew nothing about the business of importing. She took a trip to Hudson, New York, and spoke to a shop owner who suggested she find a customs broker. The broker walked Daphna through the process, and by the end of the meeting, she knew Pillar & Post was feasible. That January, Daphna and her mom attended a tradeshow in Atlanta. They’d also considered carrying American brands, but left with the realization that they didn’t want to sell things everyone else could buy in the States. With a clear focus on British antiques—save a few French tables and Italian bar carts—they went to the Decorative Antiques & Textiles Fair for the first time, and came home to shop for spaces. After looking at three vacancies in Georgetown, they fell in love with the fourth just a month later. Daphna loves learning the backstory of each piece, from the post office cabinet in the back of the shop, to the 19th century dumbwaiter, and the rotating landlord’s table currently in the entryway. It’s that timeless quality that appeals to Daphna, who describes the British aesthetic as classic and stylish, but not overdone. For a long time, brown furniture was considered dated, but Daphna says that trend has turned in her favor, and is particularly popular in Georgetown. In addition to high-ticket furniture, Pillar & Post—inspired by the cockney expression for ‘host’—also carries contemporary British artwork and modern accessories to create the feeling of being in an actual home. 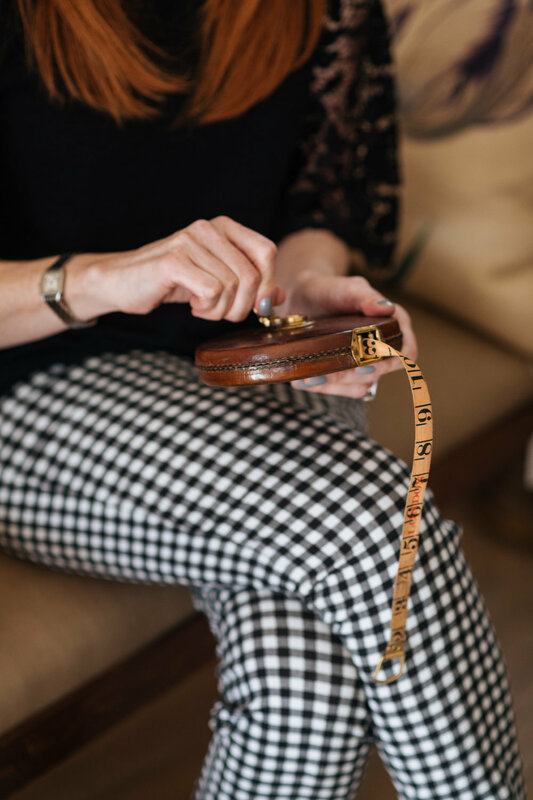 Daphna says she’s developed a great relationship with many clients and designers, some of whom now ask her to keep an eye out for a particular item during her next buying trip. From the bustling London fairs to the independent Cotswolds shops, British dealers know Daphna well and offer her a deal. She says those relationships are a meaningful part of the business. Postcard-perfect countryside shops may seem a world away from Capitol Hill, but Daphna says her years communicating with constituents and ‘shoe leather lobbying’ left her well prepared for the antiques business. Daphna enjoyed her work as a lobbyist, but says Pillar & Post combines her love of England, home décor and design—plus her 4-year-old’s love of tearing through the store. It’s her little piece of Mother England over 3,000 miles away. Full of old stories, and new ones yet to be lived.